What of our heritage, memories and connections do we lose as much of Singapore’s architecture from the early independence years is now getting demolished and redeveloped? 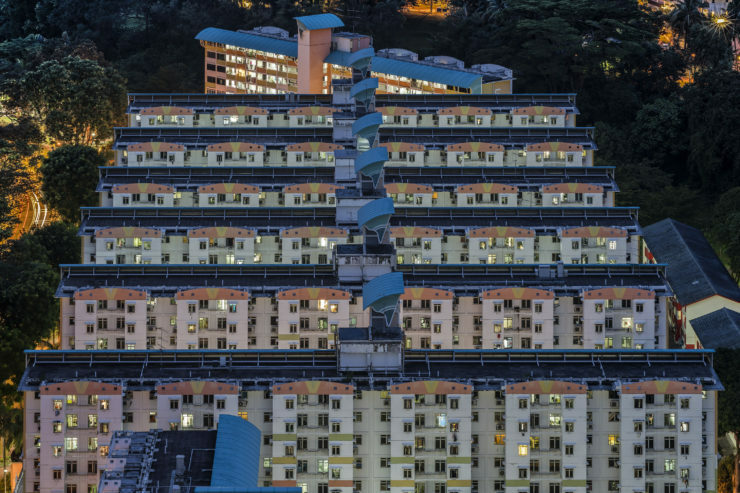 Darren Soh has spent more than a decade documenting such spaces, and presents images — most of which will be shown for the first time — of eight iconic sites from this period in this solo exhibition. The sites are: Pearl Bank Apartments, People’s Park Complex, Golden Mile Complex, Golden Mile Tower, Bedok and Buona Vista Swimming Complexes, Queenstown Cinema, Tanglin Halt Estate and Rochor Centre. A monograph of the same title accompanies the exhibition and can be purchased at Objectifs or here. the exhibition. The book contains images from the show, as well as additional photos of the eight sites and of HDB estates that were constructed in the 1960s – 1970s. It includes essays by writer Yu-Mei Balasingamchow, architectural historian Yeo Kang Shua, and Darren Soh, and is designed by local design studio Practice Theory. Buro 24/7 Singapore: Has Singapore’s built heritage been forsaken for profits? This exhibition is supported by AVS Printing Pte Ltd, Cathay Photo Store (Pte) Ltd, NYAA Young Photographers’ Network and Sony Electronics (Singapore) Pte Ltd.